CAN'T FIND THE new Chevrolet Traverse VEHICLE YOU ARE LOOKING FOR? 1Residency restrictions apply. 2Not available with special finance or lease offers. Take delivery by 04-30-2019. 3Lease Loyalty Purchase Private offer to eligible 2014 Chevrolet, Buick GMC or Cadillac lessees only toward the purchase only of certain Chevrolet vehicles. See dealer for details. 4GM Conquest Purchase Private Offer. Must currently own or lease a 2005 Non-GM passenger car or truck for a minimum of 30 days to qualify. See dealer for details. 5Private offer to current lessees of eligible 2014 Chevrolet, Buick, GMC or Cadillac vehicles towards the lease of a qualified Chevrolet vehicle. See dealer for details. 1Lease Loyalty Purchase Private offer to eligible 2014 Chevrolet, Buick GMC or Cadillac lessees only toward the purchase only of certain Chevrolet vehicles. See dealer for details. 2GM Conquest Purchase Private Offer. Must currently own or lease a 2005 Non-GM passenger car or truck for a minimum of 30 days to qualify. See dealer for details. 3Private offer to current lessees of eligible 2014 Chevrolet, Buick, GMC or Cadillac vehicles towards the lease of a qualified Chevrolet vehicle. See dealer for details. 1CHROME WHEEL SKINS 2Residency restrictions apply. 3Not available with special finance or lease offers. Take delivery by 04-30-2019. 4Lease Loyalty Purchase Private offer to eligible 2014 Chevrolet, Buick GMC or Cadillac lessees only toward the purchase only of certain Chevrolet vehicles. See dealer for details. 5GM Conquest Purchase Private Offer. Must currently own or lease a 2005 Non-GM passenger car or truck for a minimum of 30 days to qualify. See dealer for details. 6Private offer to current lessees of eligible 2014 Chevrolet, Buick, GMC or Cadillac vehicles towards the lease of a qualified Chevrolet vehicle. See dealer for details. 1CHROME WHEEL SKINS 2Lease Loyalty Purchase Private offer to eligible 2014 Chevrolet, Buick GMC or Cadillac lessees only toward the purchase only of certain Chevrolet vehicles. See dealer for details. 3GM Conquest Purchase Private Offer. Must currently own or lease a 2005 Non-GM passenger car or truck for a minimum of 30 days to qualify. See dealer for details. 4Private offer to current lessees of eligible 2014 Chevrolet, Buick, GMC or Cadillac vehicles towards the lease of a qualified Chevrolet vehicle. See dealer for details. 1Window Tint with Visor 2Residency restrictions apply. 3Not available with special finance or lease offers. Take delivery by 04-30-2019. 4Lease Loyalty Purchase Private offer to eligible 2014 Chevrolet, Buick GMC or Cadillac lessees only toward the purchase only of certain Chevrolet vehicles. See dealer for details. 5GM Conquest Purchase Private Offer. Must currently own or lease a 2005 Non-GM passenger car or truck for a minimum of 30 days to qualify. See dealer for details. 6Private offer to current lessees of eligible 2014 Chevrolet, Buick, GMC or Cadillac vehicles towards the lease of a qualified Chevrolet vehicle. See dealer for details. 1Window Tint with Visor 2Lease Loyalty Purchase Private offer to eligible 2014 Chevrolet, Buick GMC or Cadillac lessees only toward the purchase only of certain Chevrolet vehicles. See dealer for details. 3GM Conquest Purchase Private Offer. Must currently own or lease a 2005 Non-GM passenger car or truck for a minimum of 30 days to qualify. See dealer for details. 4Private offer to current lessees of eligible 2014 Chevrolet, Buick, GMC or Cadillac vehicles towards the lease of a qualified Chevrolet vehicle. See dealer for details. Keyes Chevrolet typically keeps a large stock of new Chevrolet Traverse vehicles to satisfy the needs of our customers in Durand and Eau Claire. 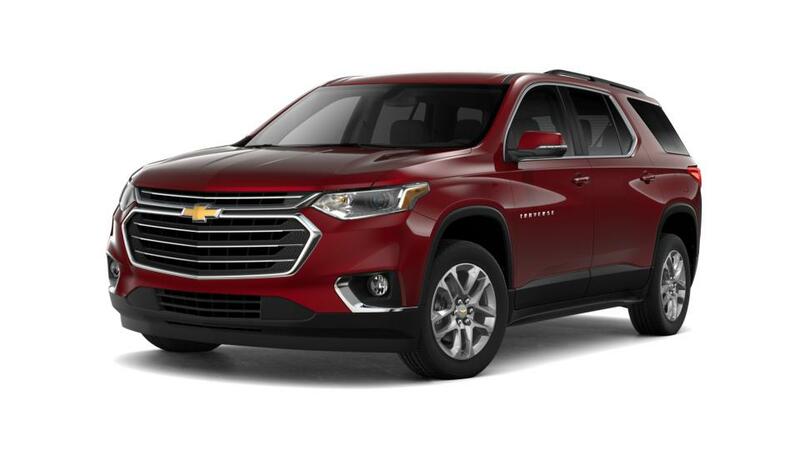 In the event you don't see the exact new Chevrolet Traverse vehicle you're looking for in our inventory, please, let us know so we can locate it for you! Keyes Chevrolet has been serving Western Wisconsin and Minnesota since 1946. Let us assist you in your purchase of a new Chevrolet Traverse today!